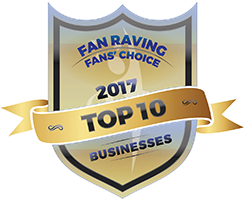 Fans’ Choice celebrates successful businesses through the voices of their steadfast fans. This platform showcases companies that have earned enthusiastic loyalty – not just customers. The platform is designed primarily for small entrepreneurs. 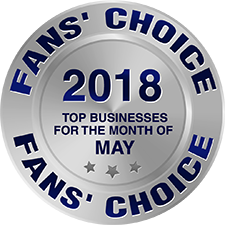 If you are a business owner in any industry who wants to enhance your organization’s reputation and increase your fan base, Fans’ Choice is right for you. What do you get out of being a Fans’ Choice star? As a savvy business owner, you know that loyal customers are essential to success. 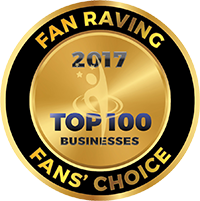 Fans’ Choice helps you attract new clients, win their allegiance, and turn them into the true devotees that are the hallmark of winning companies. How? By making it easy for consumers to discover the heartfelt praise that frames you a trustworthy brand. Fans’ Choice gives happy existing customers a perfect opportunity to express their gratitude. Their reviews help potential new clients recognize your brand and its value. One of your fans can nominate your business . . . or you can nominate yourself! Then, simply provide some basic information so that a business listing can be created. Ask customers to provide reviews at the Fans’ Choice site. It takes only 10 reviews to unlock your first level of achievement -“Fan Worthy Business.” Your reputation continues to grow with more reviews and higher levels of engagement. “Honoring the member with the most reviews for the month. “Recognizing top review earners for the year. “The uppermost echelon based on total reviews for the year. Business owners also earn certificates for achievement. Make the most of this honor by displaying an attractive award plaque (available from our online store) at your brick-and-mortar shop. Who is behind Fans’ Choice? Fans’ Choice is the brainchild of Naren Arulrajah. He is well-known as a medical marketing entrepreneur, and founder and CEO of EKWA Marketing. Naren is a published author, accomplished speaker, and sought-after consultant. He also hosts a popular podcast services for business professionals.